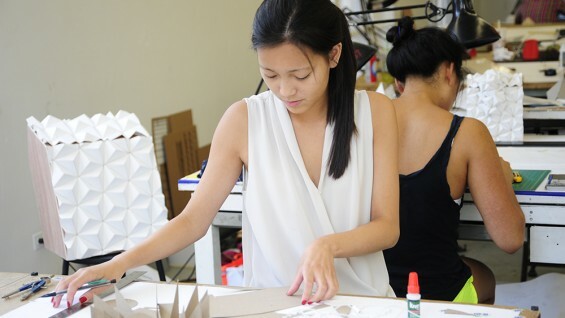 The Cooper Union’s Introduction to Architecture is an intensive 4-week program that offers an immersive experience into the study of architecture as a discipline and profession. The program is designed to familiarize the college-level student with architectural thought, design, and practice, in the context of downtown Manhattan - a vibrant neighborhood of art, music, culture and commerce. The studio and classroom spaces, which are designed by renowned architect John Hejduk, are housed in the landmark Foundation Building. 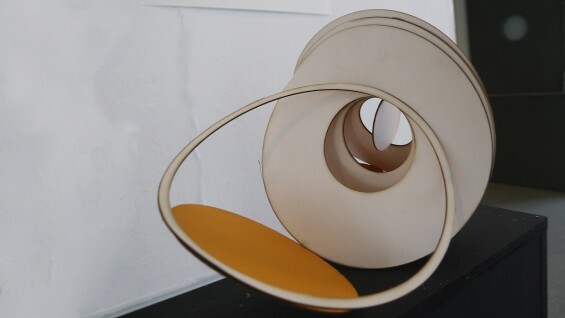 At the core of the program is the Design Studio which is taught by the School of Architecture faculty and supplemented by visiting critics, lecturers, and workshops. 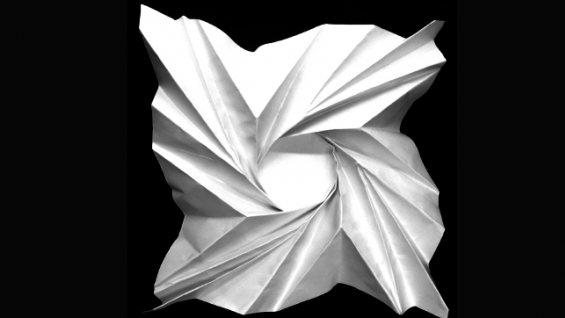 Students will participate in studio critiques, seminars and/or workshops that draw on what makes education at The Cooper Union unique, with its strong emphasis on critical and conceptual thinking, design, making and a close reading of architectural texts. The course begins with an introduction to shop and studio techniques, including instruction on working with a variety of materials and tools; followed by freehand and technical drawing sessions, in which students explore and refine their observation and representation skills; and concluding with a variety of sessions introducing students to the domains of knowledge and education practiced in the architectural profession today, such as critique, digital analysis and representation, and 3-D modeling and fabrication. Weekly lectures will introduce key topics in architectural history and theory pursued by practitioners and researchers alike. Throughout the month walking tours will explore the urban fabric of New York City through site and office visits which will allow students to meet architects with local and international practices. 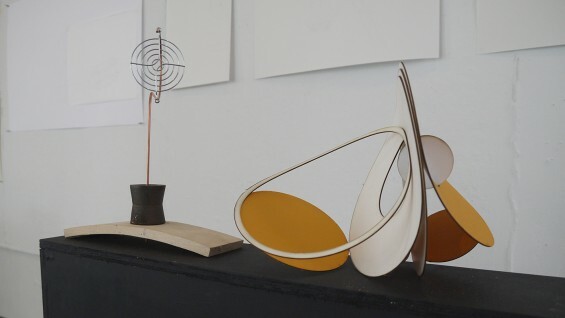 Over the course of the program, the students will be able to develop a body of work including projects, models, and drawings. Each student will be guided by the design faculty individually and as a group to review and edit their work in composing their portfolio in book format. Students from all academic fields are welcome and encouraged to apply. Prospective students must have graduated from High School at the time of application. They need not be currently enrolled in an academic institution. Applicants will fill out an application form including a statement of no more than 300 words expressing their interest in the program and one reference letter. Admission is on a rolling basis; successful applicants will be accepted based on previous academic work and all submitted statements, as space allows. We recommend that you submit your application as early as possible. Applicants may access the online application here. Program Cost: $3,670 Includes access to computer labs, plotters and printers, fabrication shop, and studios. Students will be responsible for purchasing supplies and printing fees as applicable. Housing is not available during the summer sessions through The Cooper Union. Applicants will be responsible for securing other housing options. The Introduction to Architecture: Foundation Studies and Portfolio Development is academically rigorous and offers college credit upon successful completion of the program. Individual assignments, class participation and attendance will be evaluated by the faculty. Successful completion is determined by the faculty and the administration of the School of Architecture and will be based on attendance, satisfactory completion of assignments, participation in group critiques, studio work and productivity, and adherence to the program's Code of Conduct. Class attendance is mandatory. A student who misses multiple class sessions may not receive college credit, even if those absences are excused. Unexcused absences can lead to dismissal from the program. In the event that a student is dismissed due to unexcused absences, no portion of tuition will be refunded. Students are expected to engage seriously in their studies through class participation, completion of assigned work, and critique. Disruptive behavior in any form will not be tolerated. The Cooper Union is committed to preserving an environment that challenges every student to realize his or her potential. You are expected to provide your best effort and will be supported to produce original work of the highest caliber. Plagiarism is the presentation of another person’s “work” (ideas, words, equations, computer code, graphics, lab data, etc.) as one’s own. Plagiarism in any form is not tolerated and may lead to dismissal from the program. The Code of Conduct is designed to ensure the safety and well-being of the students and the integrity of the college. They are strictly enforced and failure to abide by them results in dismissal from the program. A student’s adherence to the Code of Conduct is determined by the instructors and administration of the School of Architecture. In the event a student is dismissed due to violating the Code of Conduct, they will not receive college credit and no portion of tuition will be refunded. Students who have been dismissed are not permitted to return to campus for the duration of the program. • I do not have any architecture experience. Can I participate? You do not need any prior experience in or have studied architecture to participate in the Introduction to Architecture program. • Are there any specific math or engineering skills necessary? What about computer software skills? 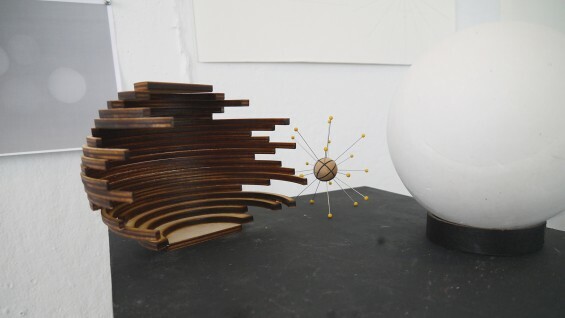 Students who wish to enroll in the Introduction to Architecture program are not required to have specific skills beyond basic math and general computer literacy. • Can I work while attending the program? What if I have to miss a class? All programs are full-time, 9:30 a.m. to 5:30 p.m. Attendance at class meetings is mandatory and students should expect to spend time outside of class developing their projects. Full participation is necessary to successfully complete the course and earn credit. • What happens after the program ends? The Introduction to Architecture program culminates in a portfolio that can potentially be used for applying to an undergraduate or graduate program in architecture. • I am an international student. May I apply to the Summer Programs? The Cooper Union is not able to provide I-20s to F-1 students for the summer architecture program. International students may be able to attend if they are already in the U.S. as an F-1 student for another program or in another immigration status that permits study. For questions, please email international@cooper.edu. Scholarships and Financial Aid are not available for the Summer Programs at The Cooper Union. • How do I find housing in New York City? Please visit our Other Housing Options page for assistance in finding potential housing. • What equipment and/or materials will I need to bring? All accepted students to the Summer Programs are expected to have a personal laptop and will be responsible for basic studio tools and supplies. Students will be provided with a detailed list of required supplies before the first class. There are several art supply stores in the neighborhood that offer student discounts on tools and materials. Students will be provided with their own studio workspace which includes a table, lamp, and a parallel rule, as well as access to facilities such as the computer studio and fabrication shop. • Can credit from the Summer Programs later be applied towards a bachelor’s or master's degree? The Cooper Union is accredited by the Middle States Association of Colleges and Schools (MSA) and the School of Architecture is accredited by the National Architectural Accrediting Board (NAAB). Students will receive a transcript for credits earned; credits are transferred at the discretion of the student’s home institution or the prospective institution the student is applying to. * Except in cases in which classes are cancelled, all application fees and program costs are non-refundable.